Mama-to-be, Katie and Dad-to-be, Jon are HUGE Tampa Bay Rays baseball fans. 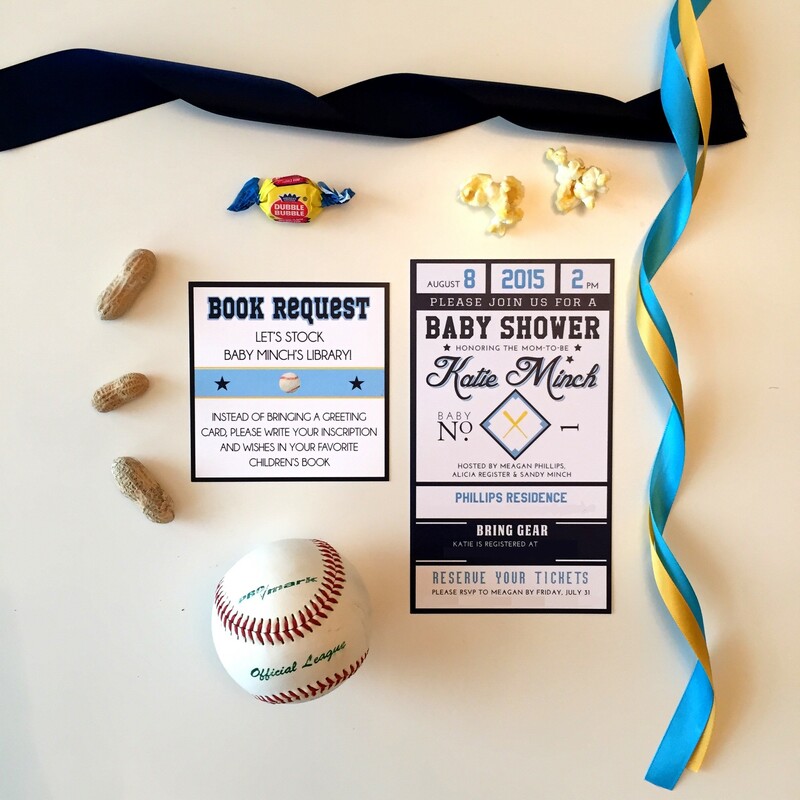 As soon as I knew the gender of their baby from the Gender Reveal Party, it didn’t take me long to think of a baseball baby shower for their little boy. 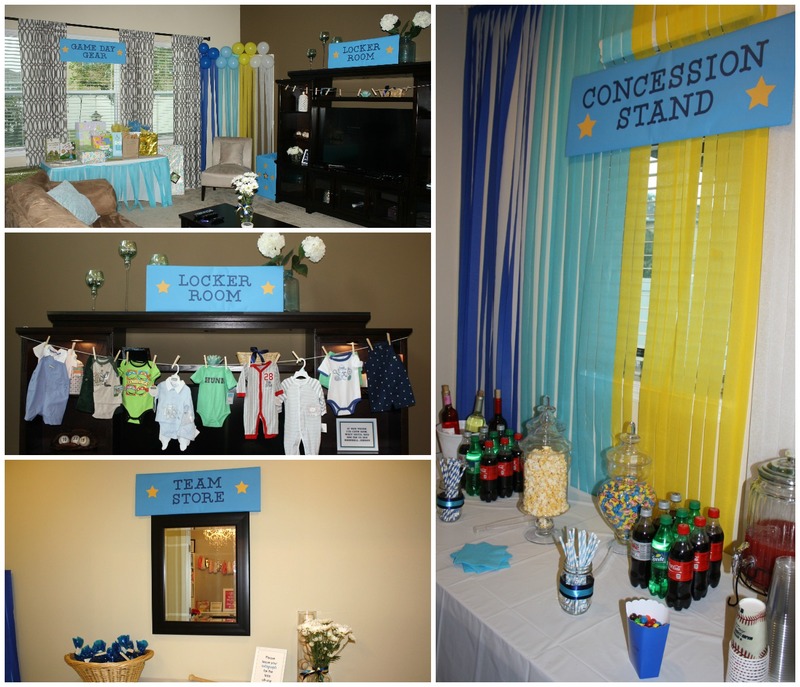 Introducing a Tampa Bay Rays baseball baby shower. Bases are loaded! 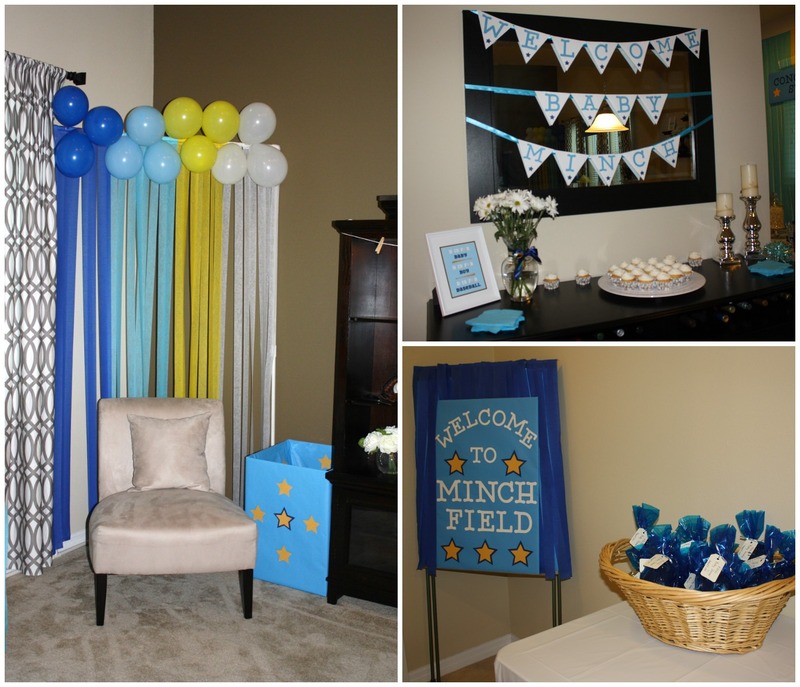 Let’s bring home Baby Minch! The invitations are from Etsy and turned out ADORABLE! I really like the idea of guests bringing their favorite baby book instead of a greeting card. That way, Baby Minch would already have a good start to his book collection. 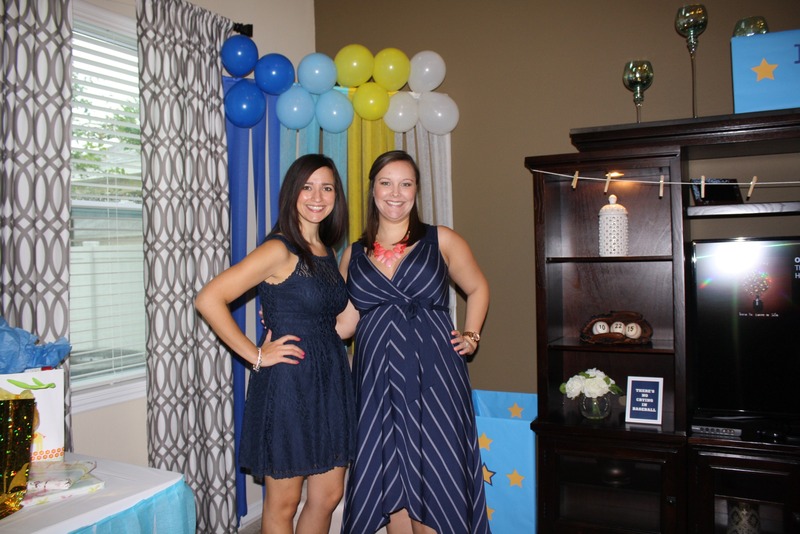 When planning the details, the color scheme would be based on the Tampa Bay Rays team colors: navy blue, light blue, white, and yellow. I wanted to showcase the different parts of a ball field of which being: game day gear, the locker room, the concession stand, and the team store. I’ve never been a fan of the black-garbage-bag-that-sits-next-to-the-honoree-opening-gifts thing. Many photos are taken during this fun moment and a big ol’ unsightly trash bag doesn’t happen at my events. I simply purchased a moving box and wrapped the outside. Ta-daa! 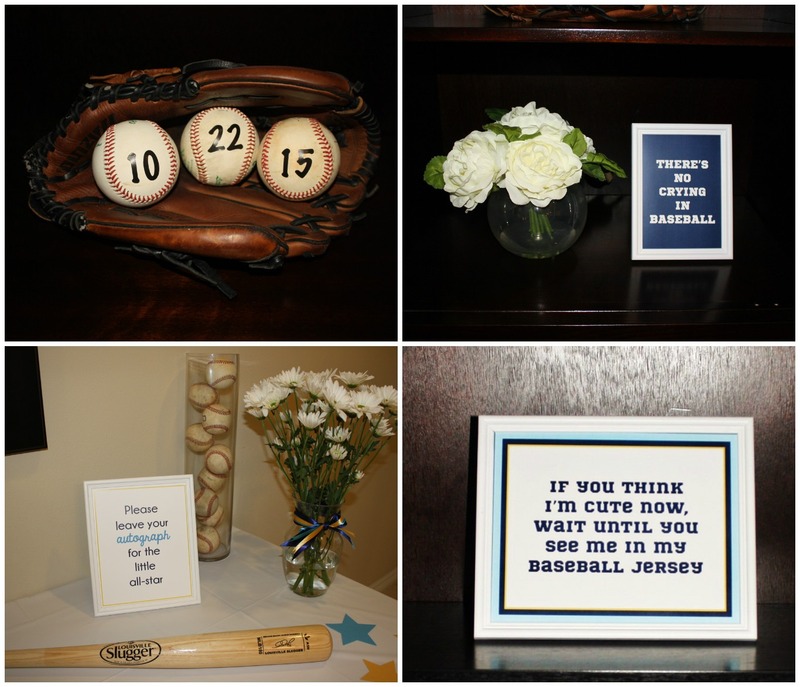 Jon’s sister Alicia and their mom also assisted with shower planning and hosted the baseball stadium inspired menu of sliders, nachos, stuffed pretzels, and fruit salad. 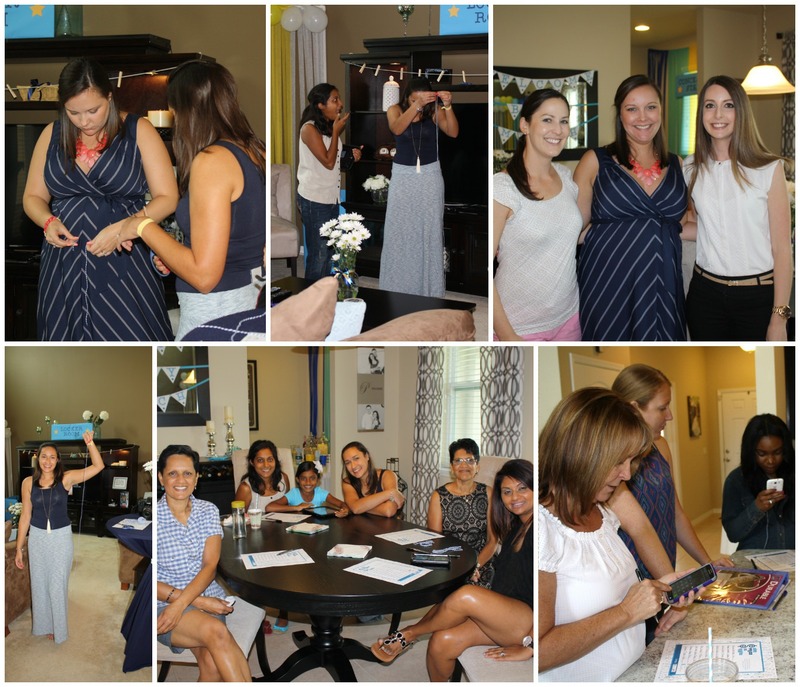 Alicia planned Katie’s bridal shower and had amazing games so she graciously took charge of the fun we had for the baby shower. What’s a Southern Glam event with an abundance of details? 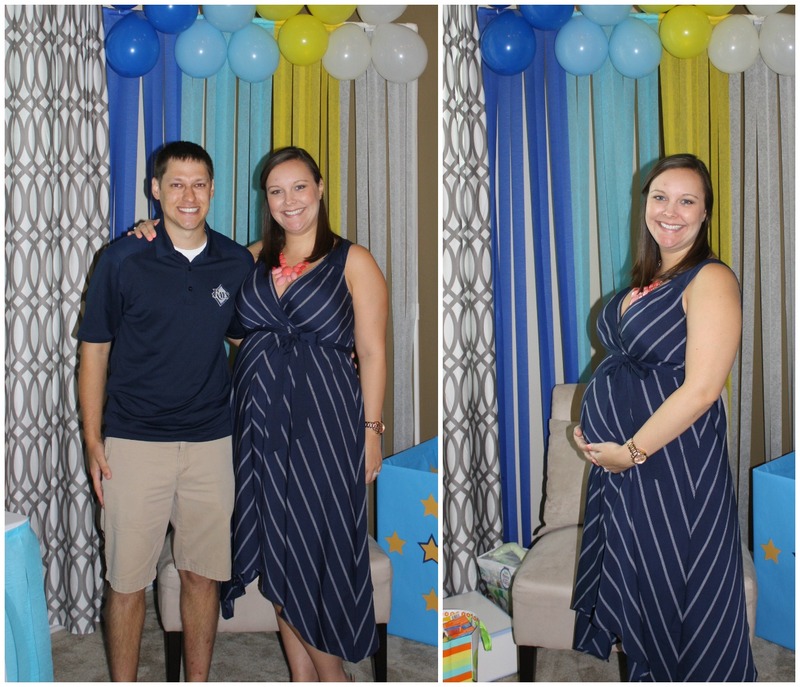 Congratulations on your little boy, Katie and Jon! Auntie Meagan is SO excited for the next chapter in your lives!